Playing blues guitar does not limit you to only using the same minor pentatonic scale patterns over and over. There are many other things you can do to make your blues guitar playing sound unique and creative. Learn how to use arpeggios in your blues solos by watching this free blues guitar playing video. Learn how to apply and integrate legato technique into your guitar soloing style and combine it with lots of other techniques and phrasing elements to express yourself fully and completely. 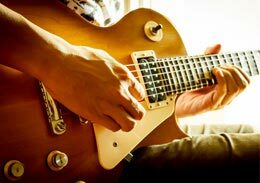 This course will teach you to create your own unique phrasing style by showing you the “secrets” of legato masters like Joe Satriani, Shawn Lane and George Lynch and how they use their awesome technique to create fluid and fiery legato guitar phrases.In addition to learning the concepts that will improve your phrasing, you will get inspiring backing tracks to practice the examples from this course and improvise your own guitar solos to so that you immediately hear the results of the ideas you learn. More importantly, you will get to see ‘real world’ examples of legato guitar phrasing from actual songs and solos—all broken down and explained in full detail. You cannot find this type of instruction anywhere else! Learn how to make your guitar licks and solos sound highly expressive and develop a lead guitar style that is uniquely yours! This course will show you the real secret to great guitar soloing - the art of guitar phrasing. This is not a set of ‘100 hot licks’ to play, nor is this anything like other lead guitar lessons you may have seen that tell you to ‘use vibrato and string bends’ to improve your guitar solos. 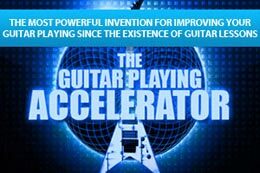 You will learn so much more about what really goes through the minds of your favorite guitar players as they create their mind-blowing guitar licks, such as how to make the best note choices for any guitar solo you play or improvise, how to develop your own lead guitar style and how to make your guitar playing always match the music you hear in your head. After studying this course, you will have the skills needed to express yourself more accurately and completely with your guitar playing.